Colleen | Jay and Jack TV - We Make TV Watchable! 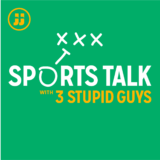 Check out this week’s Sports Talk with 3 Stupid Guys! 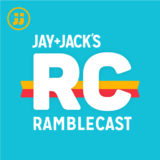 Jay and Jack are back for Season 8 of The Ramblecast, which is once again free!! Be sure to join their Facebook page at www.facebook.com/groups/jayandjackgroup. Support Jay and Jack on Patreon! Click here for more information.